White House Senior Adviser Jared Kushner, right, listens as President Donald Trump, left, announces a revamped North American free trade deal, in the Rose Garden of the White House in Washington, Monday, Oct. 1, 2018. Jared Kushner's application for a top secret clearance was rejected by two career White House security specialists after an FBI background check raised concerns about potential foreign influence on him — but their supervisor overruled the recommendation and approved the clearance, two sources familiar with the matter told NBC News. The official, Carl Kline, is a former Pentagon employee who was installed as director of the personnel security office in the Executive Office of the President in May 2017. 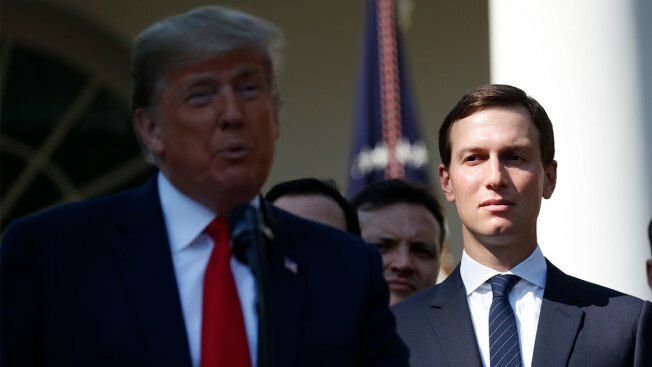 Kushner's was one of at least 30 cases in which Kline overruled career security experts and approved a top secret clearance for incoming Trump officials despite unfavorable information, the two sources said.